The mark of a true ninja master is one who can use anything they find to defeat their foe. Kitchen knives, broomsticks, a bowl of hot and spicy soup; these are all deadly weapons to the seasoned ninja (the soup in particular is a favorite, since they get to eat the leftovers). This also means that when a ninja actually has real weapons with them when they head out on a stealth mission, they are unstoppable! A good ninja also carries many different weapons for different situations, since they never know what they'll be up against. 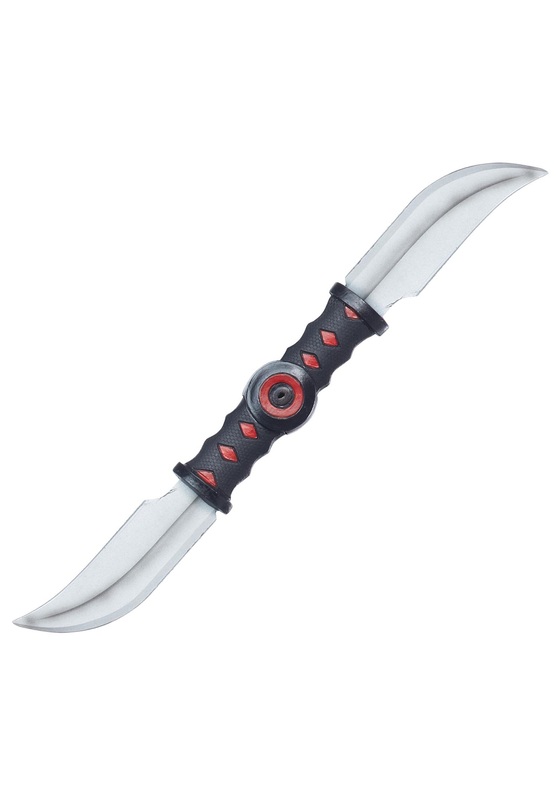 This Stealth Strike Spinning Ninja Blade is another particularly favorite weapon of sneaky warriors, since it's a double ended blade to slash and attack with, and can be strapped to your hand and spun around by the handle, for fast, silent strikes! Of course, this is simply a plastic costume accessory rather than an actual deadly weapon, but when you're wearing it with your ninja costume, it'll look like you know what you're doing!